This is third and final part of short tutorial series on creating simple Phaser shooter game with Typescript. In Part 1 we ended with drone sprite hanging in the air above postapocalyptic city. In Part 2 we animated it and made it move. In this part we will add cannon, missiles and collisions with drones. To do this we have to check input and employ physics. We will use P2 physics engine. New anchor is point around which rotations will be done. 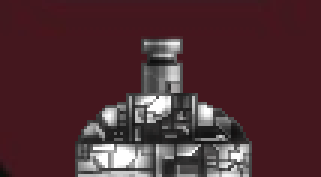 With last line we add cannon base sprite. This sprite covers part of the cannon barrel and it is static part of cannon. With this we say which keys we will use and we also prevent propagating presses of these keys to browser - it will be consumed by our game. We check left and right key and if pressed (isDown()), then we adjust cannon rotation. 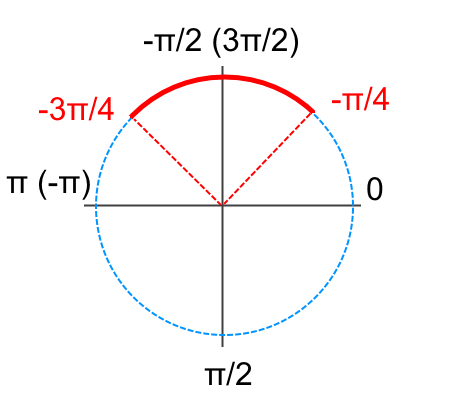 The speed of rotation is π/4 in sec. by CANNON_SPEED, which is 2. So, cannon is rotation with speed π/2 in second. Space key is tested differently. We do not want to know, whether it is down, but whether it was pressed. If so, we will lunch missile. Currently, as we do not have missiles yet, we just lunch message to console. In the end we check whether cannon rotation is not beyond its limits. We use clamp method from Phaser.Math class for it. This method helps you to keep value between two limits with single line of code. First, we are allowing impact events. Early we will also add missiles and we want to check collisions between them and drones. We will want P2 engine call our callback method when there is collision. If we forget to allow impact events our callback will not be called. Next, we define two collision groups. One for drones and second for missiles. This helps us easily check collisions between all drones and all missiles. For all the drones we create standard Phaser.Group. Setting physicsBodyType and enableBody on group means that these vales will be set on all sprites in this group. Our group contains 8 drones. We create them with call to createMultiple. As we are not creating standard sprites, but we want to create instances of our Dron class, which derives fro Phaser.Sprite, we first set classType to Dron. Callback method hitDrone() is called by P2 engine with two parameters - first is drone that collided and second is object it collided with. All we do, is let the drone explode and we kill missile. If you recall explode() method in our Drone class, you will remember that after explosion animation is finished, drone is killed too. Only differences are: shape is not circle, but rectangle and we do not set collision callback here as it is enough if it is called from drone side once. It is enough to say that missiles can collide with all drones grouped in _dronesCollisionGroup. In first line we ask for free missile in group. It works like pool. When we created missiles, all of them were set exists = false. Now, we want to find first that does not exist, revive it and after it is killed (or its time expires), it falls into exists = false again. We check, whether we got any free missile. If yes, we calculate position on the tip of cannon barrel and set with reset() method position of missile. Calling reset sets exists = true. Rotation of the missile is the same as rotation of cannon. Lifetime of missile is limited to 1.5 second. If this time is expired, missile falls automatically into exists = false and is ready for reuse. If you compile and run now, you can move your cannon left to right with arrow keys. With space bar you can launch missiles and shoot drones. 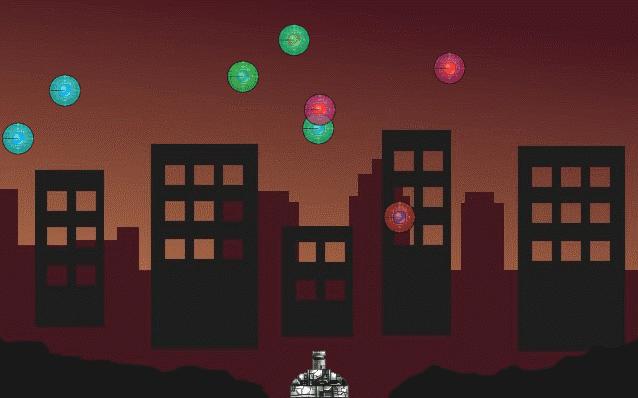 During tutorial we created very simple game in less than 240 lines - see full listing bellow or download whole project. While it is simple, it creates our Dron class derived from Phaser.Sprite, we use animations and custom tweening function, we handle input and also use P2 physics.